This episode is sponsored by LiquidWeb… Managed WordPress Hosting Done Right (my words). One of my favorite non-fiction books of all time is ‘The Obstacle is The Way” by Ryan Holiday. Last year he released “Ego is the Enemy“, which comes as a close second. What do I love so much about these books? Of people who have come before us, faced adversity, lived by their convictions, and stood for something. Having been born in San Francisco (a 5th generation) and raised a 49er fan, it didn’t come as much of a surprise when Ryan referenced the late, great Bill Walsh. I’m not about to start spewing NFL statistics, but I don’t think there are many people that would argue if I said Bill Walsh was one of the game’s greatest coaches. Of all time. Here’s why Ryan Holiday was so influenced by Bill Walsh’s book, The Score Takes Care of Itself. What do these books have to do with online marketing? 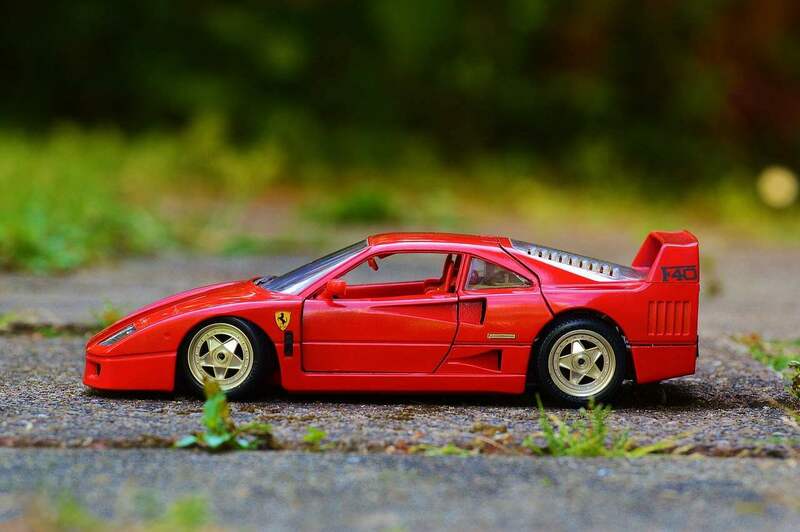 When you hear the term ‘internet marketing’ does your mind automatically go to images of young guys posing in front of Ferrari’s, mansions, yachts, and all their friends living the ‘laptop lifestyle’? Before I come off like a complete hypocrite, I will say that I bought into the ‘laptop lifestyle’ for a bit. When I was part of the mastermind for a couple years I thought that meant you were successful. It was almost as though if you were showing your fabulous lifestyle then you weren’t successful. No one told me I needed to buy into this, I went willingly. Because I didn’t trust myself. I didn’t trust that how I wanted to live my life, what type of business I wanted and getting there on my own terms was enough. I had some success, but it wasn’t sustainable. I was spending a lot of money in hopes of making a lot of money. I had some amazing experiences, met some wonderful people and learned a lot. It was because of the mastermind that I started paid traffic (Facebook ads). I also learned how I didn’t want to run my business. I also learned how I didn’t want to run my business. After a very busy 2015, I needed to take a break. Regroup. I realized with all the travel I did for business in 2015 I didn’t feel energized. I felt drained (none of the trips were restful or a vacation). Which is why it’s refreshing to see the ‘laptop lifestyle’ on its way out. I was talking with a friend last week who is involved in Facebook advertising and she said that the ads that used to work on Facebook (flashy cars, expensive lifestyle) are no longer working. I love that the push for a certain lifestyle has worn out it’s welcome. I think we’ve all grown weary of what we see online… the pictures that show the fabulous life, the perfect family, the amazing trips, etc. Not that those things don’t deserve to be celebrated because they do. When you work hard for something you absolutely should celebrate it. But those are moments, not our lives. And it’s vitally important that we learn to keep those moments in perspective. If the ‘amazing’ moments carry so much weight in our lives how do we feel when we’re not living in a constant state of awesomeness? Do we appreciate the day to day goodness in our lives? Or are we constantly in a state of never being happy with where we are. I know that’s exactly what happened for me. No matter what I was doing, or how hard I was working, it wasn’t enough. On the flip side of this, I will never understand the people who spew every miserable detail of their personal struggles online either. Not because I don’t want to see it (although I don’t), but because after all is said and done, I doubt doing this ever helps them feel better. I would guess it keeps them stuck in the thick of their problems, all the while creating more problems by virtually dumping them out for the world to see. I’d like to think that I have a somewhat keen eye for things when it comes to how things are changing online. I’m not saying I necessarily follow through and implement a lot of this (because of my desire to master the fundamentals), but let’s just say that when things start shifting it doesn’t necessarily come as a huge surprise to me. As much as I said I see a maturing happening in Internet Marketing, there’s always going to be some level of hype and promise of riches. Some marketers may alter how they do their marketing (example: instead of long, hyped up sales pages they’ve learned to do more storytelling through video), but the hype is still there. There will also always be the ‘victims’. People who blame marketers for promises they supposedly don’t deliver after they’ve made the decision to spend their last dollar on someone’s product or service. The responsibility is on YOU. Don’t look to anyone to be the magic bullet or answer to your business challenges. I’ve said it before and I’ll say it again unless you have very deep pockets for advertising, you need to create content. The more consistent you are with your content the better it will get. The type of content you create however is changing a bit. As much as Google loves their listicle posts, you can’t just throw up the same regurgitated post of the Top 10 this or that. Don’t get me wrong, I love the listicle posts as much as anyone, but do we really need another Top SEO plugins list for WordPress? Unless you can come up with a different way to present this content and do it better than someone else, is it really worth it? I’m working on a post about needing more storytelling in the WordPress space. The regurgitation of the same types of posts is getting old. There are SO many different types of content you can create, step outside of the box and try something different. Ask your audience what they want from you, what are their struggles, frustrations, and challenges. Use that as content instead of simply looking at what competitors are doing. The first type of content that I’m going to be investing more time into is video. I’ve always done screencast videos, but live video has huge potential. I don’t know if I shared this on the podcast or not, but the day after I did my first Livestream on Facebook I posted the video as a blog post and wrote a shorter post on my thoughts of my first Livestream. That post was my highest traffic day in months. I think with live video becoming more mainstream by the end of the year the people who don’t have a strategy for this (and I’m referring only to people who are using it for business, not the hobbyist or people simply sharing their life with their audience) won’t have much traction. Just like any other type of content the quality will have to be there. I’m not necessarily referring to the quality of the video (although you want to do the best you can with what you have, right? ), I’m referring to the quality of the content in the video. You’d have to be offline for a while to not notice all the noise about AI and bots lately. At first I didn’t see how I would be able to use bots in my business (read: I hadn’t done enough reading or learning to really grasp what could be done) until recently. I’ve got a test I’m going to do next week in conjunction with a Facebook live and messenger (if you haven’t noticed, Facebook is putting some serious energy into messenger). I’m going to test a tool called ManyChat that allows you to create a campaign through messenger (I go into more detail in the podcast on this). I want to test how effective the follow-up sequence is in using this platform to drive traffic to a landing page. I’m doing this for LeadSurveys, so if you’re interested in following along (or attending live), be sure to like our LeadSurveys Facebook page. There are so many other ways to use bots in your business, but you know me… my recommendation is to make sure you have the fundamentals working in your business before jumping into something new. If you’re not building your email list through your website, don’t have any follow-up sequences in place and are not communicating regularly with your audience, don’t jump into bots. There’s a fine line between communicating and spam. A friend of mine tested this as a viewer of someone else’s FB live and she literally got 8 messages via Facebook messenger in 24 hours. At the risk of ending this episode like Stuart Smalley (Saturday Night Live, “I’m smart enough, I’m good enough, and gosh darn it people like me!”), the BEST thing you can do is be yourself. Modeling how people do things is fine, but if you’re stuck and think the way out is to do what someone else has done because they’ve been successful, it’s not going to work. The coaching space is a perfect example of this. So many people who get into coaching look like carbon copies of their mentor or coach. The package looks good (the website, the branding, the colors, the photos of them on stage at an event with their headset mic), but when you go a little deeper into their site you can’t really grasp what it is they do, or worse yet, why you should hire them. Don’t be afraid to have an opinion, speak your mind, or take a stance.